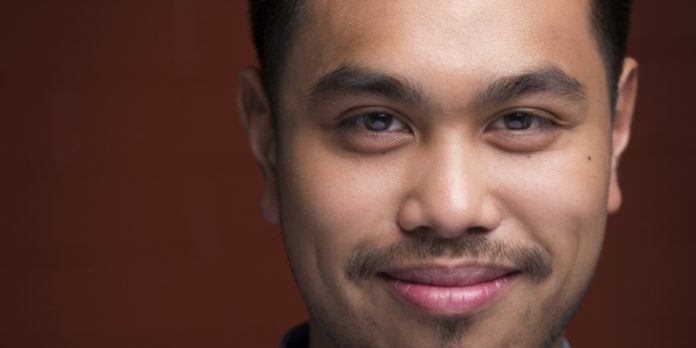 The Pull Festival, Vancouver’s annual festival of ten minute plays, returns for its eighth year featuring new works from Vancouver-based playwrights. In the final in of our special series with this year’s Pull Festival directors, we chat with Davey Calderon. I have been submitting for the last couple of years and I am so grateful to have been accepted this year. I always wanted to direct Pull Festival play. I always found them provocative, contemporary, and really fun. As a director you are looking for work that pushes and excites you. Pull Festival always delivers that every year. Bean & Hat by Katie Gartlan-Close is a wonderful clown play featuring, you guessed it, Bean and Hat. Stuck in a Godot-esque timeline, they encounter questions about death, violence by crickets, and like all good clown shows, their need for each other. Seriously, you’ll fall in love with these folx. The second play, The Bug Zapper by Ziad Elattar is an absurd, juiced up commentary on, well everything. The language for the play is strange but poetic and the characters themselves are just as odd and energetic. Imagine Dario Fo’s They Don’t Pay? We Won’t Pay, Monty Python’s Flying Circus, and Days of Our Lives had a baby. 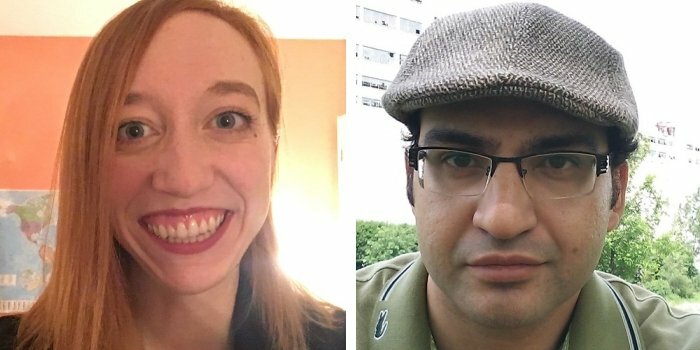 Katie Gartlan-Close (left) and Ziad Elattar (right) are among seven emerging playwrights who will have their work performed at this year’s Pull Festival. I love the challenge of bringing each of the play’s individual worlds to life. As a director, it’s a pleasure to decipher the play’s narrative and putting that on stage in both a spectacular and authentic way. The plays are just ten minutes in length – as a director does this frighten you or excite you? Why? The process is quick and dirty. I do a lot of experimental theatre work. I’m very much in my wheelhouse. Yes, I think it would be detrimental to any process to underestimate a show because it’s shorter than a full-length play. In fact, it’s more challenging because the play’s big ideas need to be clearly communicated to the audience very quickly. Me doing the necessary prep, as I would do with any full-length play, is very important to make sure there is no detail missed or intention dropped. 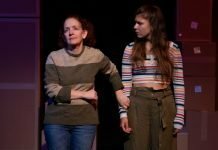 People should see all of the plays, by all the directors and other cast members, because Pull Festival is curated in a way that there is a range of narratives and commentary for audiences to experience. However that said, my plays will give everyone a belly full of laughs with sickening drag arts and romping clown gags, so be ready to laugh. Pull Fest VIII takes place at the Havana Theatre (1212 Commercial Dr, Vancouver) March 27-30. Visit http://pullfestival.ca for tickets and information.